Latest version: 2.9.0 build 404. April 4, 2019. 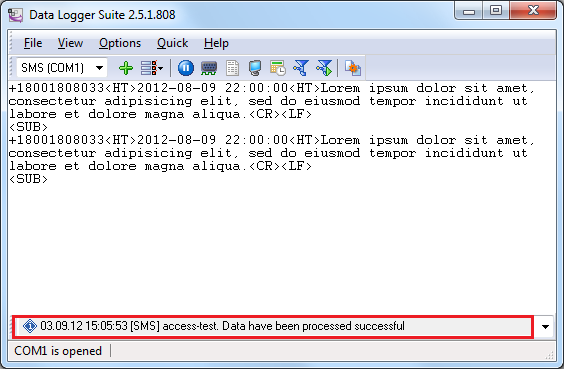 Data Logger Suite SMS Edition you can download here. Plugins can be downloaded separately here. 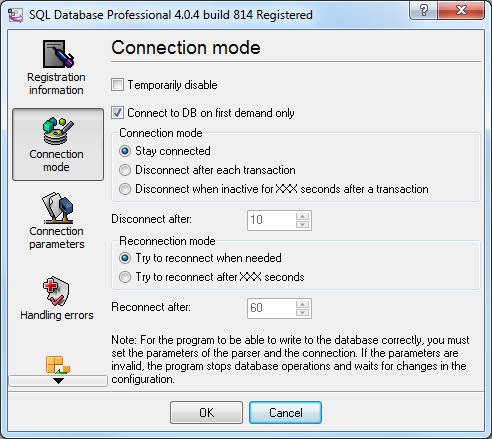 SQL Database Pro - it requires a separate license, but it offers some professional features the ODBC database lacks. Note: The program installation wizard can automatically create the configuration for these modules matching the offered table structure. 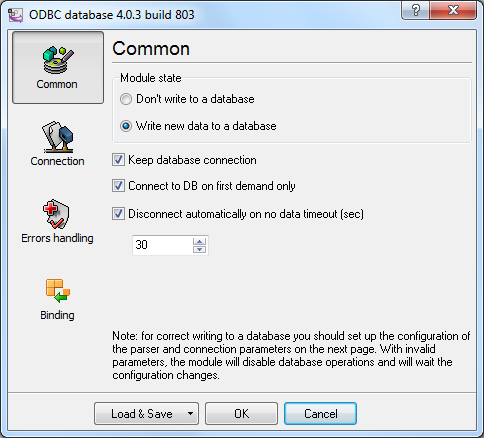 Configure a connection to the database: select the ODBC connection and specify advanced settings. 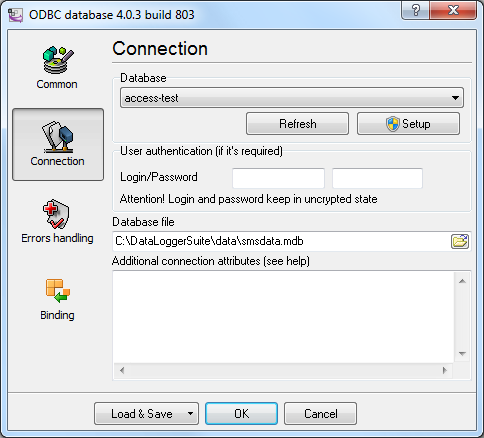 If the ODBC connection is not created yet, click Configure. You can find more details about all options and the configuration process in the help file of this module. Link parser items to the columns of the table from the database: import the table description from the database (the Import button) and link the necessary columns. You should either delete unlinked columns from the tree or specify the default values for them. 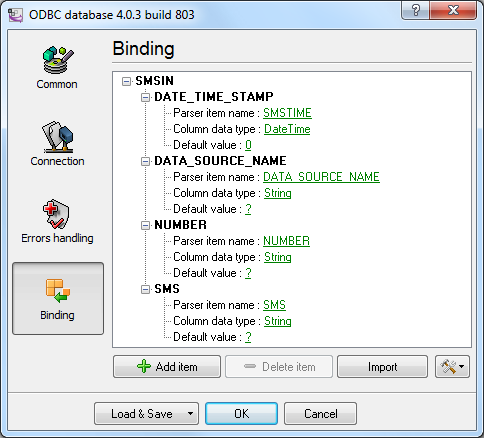 If everything is configured correctly, you will see the message about values successfully written to the database in the main window of the program. The configuration of this module may require the knowledge of your database SQL dialect. First, you should create a table in the database and assign permissions for writing to it. 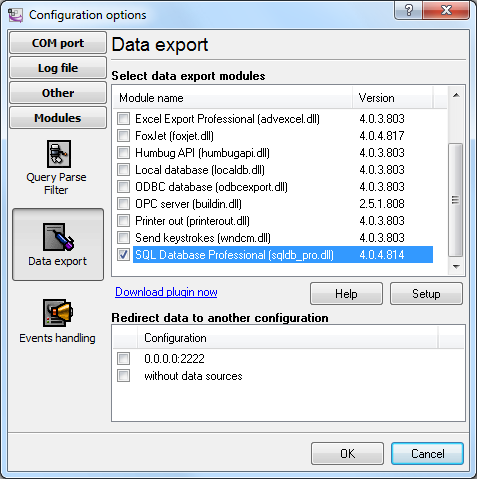 Select the module in the list of data export modules. 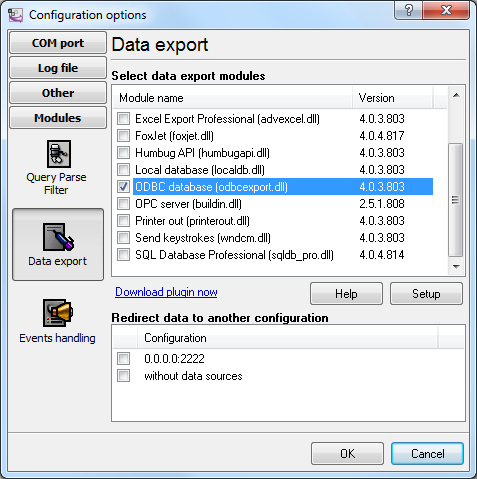 Configure a connection to the database: Select the database type and specify the connection settings. You can find more details about all options and the configuration process in the help file of this module. 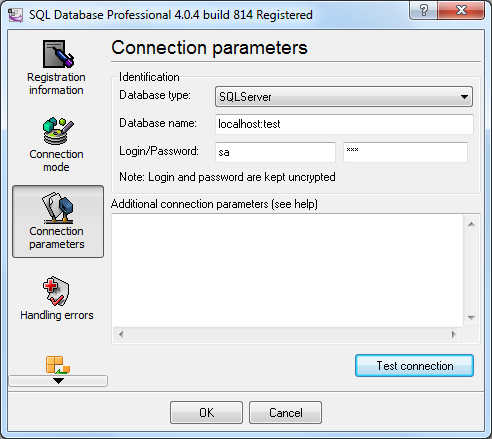 Figure 16 shows a connection string for the database "test" of the Microsoft SQL Express 2008 server located on one computer with the program. 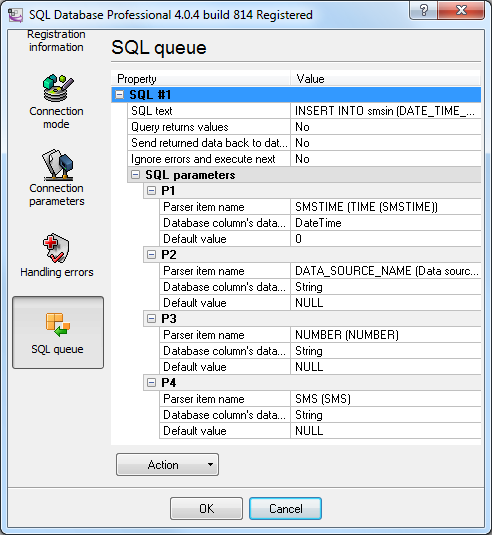 Add an SQL query to the queue and link the parameters of the SQL query of the :P1 type and the parser items. 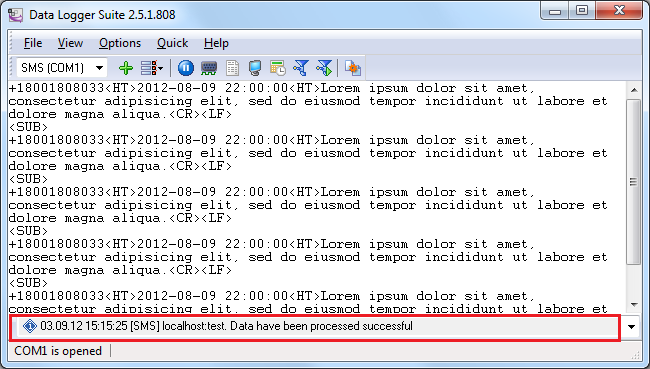 If everything is configured correctly, you will see the message about data successfully written to the database in the main window of the program.